On this episode of the Another Chance Podcast you will meet my longtime friend, Dr. Sam Huddleston. I met Sam just after he was released from prison, having been convicted of manslaughter as a 17-year old. His story, while gritty, is one of repentance, forgiveness, restoration, and reconciliation. Just this past December the State of California officially pardoned Sam of the crime he committed all those many years ago. 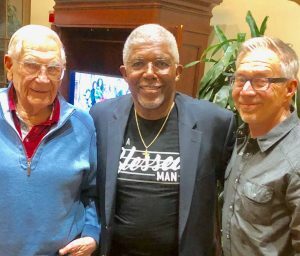 The photograph to the left is of my father-in-law, Bob Rittenhouse (who gave Sam his first job out of prison), Sam, and me at Sam’s Pardon Party, thrown by his wife, Linda, just last weekend. Everyone laughed, cheered, and shed a tear simultaneously. At the party were people of all ages, colors, and backgrounds–from all over the country and even Nigeria–yet NO ONE fronted their color or ethnicity first (or even second or third)–everyone there was a God-First person who had come to confirm that we are all forgiven and saved by His amazing Grace. Period. The gathering was like a little slice of Heaven. 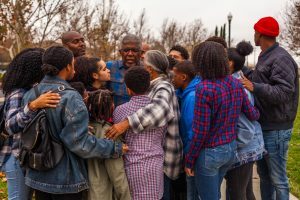 Sam received the official word of his pardon just before Christmas, when his entire family was gathered in a park to take pictures with a professional photographer. The adjacent photo was snapped just as the family prayed together after hearing the news come over Sam’s cellphone speaker. Sam’s book, 5 to Life, is available by clicking here. Episode Four of the Another Chance Podcast is about former professional skateboarder, Joe Gruber. In the Nineties, Joe skated on a team assembled by one of the “godfathers” of skateboarding, Lance Mountain. During our interview for this podcast, Lance told me, “Skateboarders are disgustingly honest.” Lance was referring to the in-your-face attitude of the skateboarding party life that Joe found himself in as he stiff-armed God. However, eventually, in large measure thanks to an evening that involved drugs and demons, Joe took up Jesus’ offer of another chance–at life. 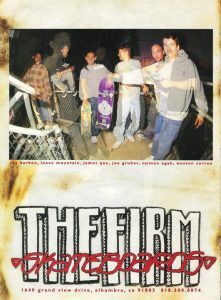 Joe skated in “The Firm,” a legendary skateboard team that was founded by Lance mountain in the 1990’s and lasted for the better part of 15 years. Joe and his brother Kieth were skating in a Southern California playground when the happened to meet Lance. It was a divine moment which would change Joe and Kieth’s life forever. As you’ll hear, while touring the world as a pro skateboarder, Joe ventured into the dark side of the skate culture, but fortunately responded when God stepped in to place him on a different course. 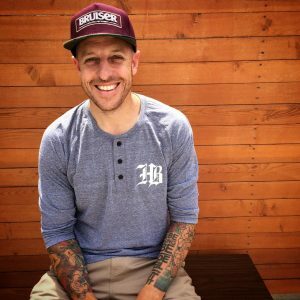 Joe retired from pro skating, dedicating his life to serving people–and especially young people–with the love of Jesus, eventually going to work for the Billy Graham Association in youth outreach. 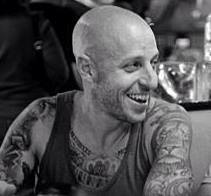 Joe now lives in Santa Cruz, California with his wife Katrina. He is a pastor at Santa Cruz Hope Church in Santa Cruz, California. Joe can occasionally be seen charging down a steep street on a skateboard (and every once in a while, can still be seen with a fresh case of “road rash”). Thanks to MS Skate Ministry for their contribution to this podcast. In Episode 3 of Another Chance you’ll meet my longtime friend, Peter Manchester. 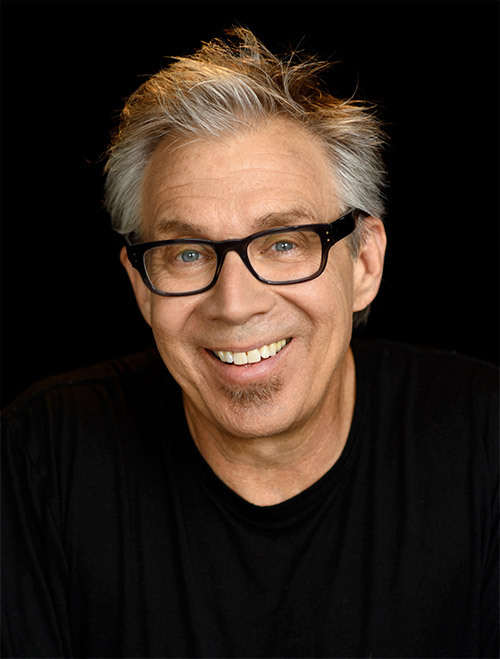 Peter is a hilarious, self-effacing guy who grew up the youngest of 12 children, in Santa Cruz, California. When most kids are just learning how to ride a bike, Peter was surfing with his older brothers–and he became darn good at it too (that’s Peter in the photo, body surfing through the barrel of a wave at Pleasure Point in Santa Cruz, California). 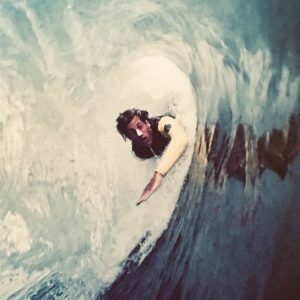 The surf culture, with its penchant for partying and reputation for drugs, soon became synonymous with Peter’s life, and by the time he was 16 he was addicted to heroin. Adding to his predicament was the fact that his parents had more or less allowed him to raise himself since he was in grade school. There was no supervision or guidance given for Peter or any of his brothers. However, as you’ll hear, God intervened–several times–providing Peter with another chance. This podcast is perfect for anyone struggling with addiction, including family members of the addict. It’s also an excellent podcast for people who come from dysfunctional families–especially those who had a poor relationship with their father. And for those who are seeking the Truth, in the podcast I simply explain how placing your trust in the One who says, “I AM the way, the truth, and the life,” actually works. As you briefly heard, Peter and Laura were divorced after 10-years of marriage. They have an adult son named Elijah. Both have since remarried; Peter to a wonderful woman named Ann, and Laura to a great guy named Mike. All four of them are followers of Jesus, and my wife and I are friends with all four of them. Peter and Anne have two children, Sam and Max. In this simple illustration we see that the authentic follower of Yeshua/Jesus must develop spiritual roots which come about through being placed in good soil. And what is the good soil? Continually being filled with His Spirit by studying and applying His Word (the Bible), by constantly speaking to Him in prayer, and by fellowshipping with His people. By living such a lifestyle, the believer will be properly equipped to withstand the trials of this life and meet the Savior in Heaven, unashamed. I plan on having Laura and Mike as the subject of a future podcast. In the latest episode of Another Chance you will meet John and Ursula Frattarola. John and I worked together in TV in Reno. When he and Ursula left for a career in Hollywood, I told John, “I’m praying that you’ll become miserable.” In time, it happened. And just as I prayed, thanks to the graciousness of God, John’s misery turned to joy–and for Ursula too! Prepare to be inspired. 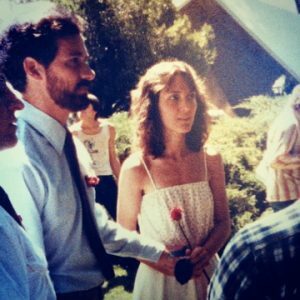 By the way, the cover photo for this episode was taken at John and Ursula’s wedding, at which I was honored to have been asked to share a message faith. It was the year 2000 and I had been the TV weatherman on Channel 5 since 1989, and as you will learn in the podcast, had to make a decision to stay on TV, or find another job should we decide to adopt Josh. Some have asked why I didn’t just take a different job shift at the TV station, like do the weather on the morning news instead of evenings and late night. The problem was such a move would have caused the station to fire the morning weather person (who was under a contract, like I was), and then hire a new evening person who would have to perform under the cloud of my popularity. Instead my boss (a super good guy, by the way) was willing to let me out of my contract two years early, and allow me to depart under an agreement that I would not work for another station for the next two years. After a year they did call me to see if I wanted my old job back, complete with my former salary. For a minute it was tempting, but there was no way–I was having too much fun being a dad. My wife and I have known each other since we were 18. We married when we were 21. She is also the one who challenged me to read the “New Testament,” obviously oblivious to the Star of David I wore around my neck at the time! I became convinced that Jesus (Yeshua in Hebrew) is the Messiah after realizing the Jesus often characterized by the church and some church-goers is not the same Jesus as the One hidden in the Jewish scriptures and revealed in the Gospel. 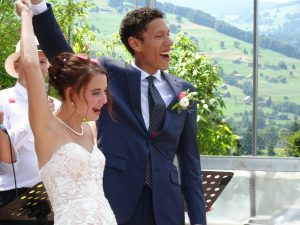 Josh married a young Swiss woman, Ladina, in July (the photo was snapped just after their vows were complete). Thirty people traveled from America to Switzerland for the wedding, which was truly an awesome experience. Josh and Ladina live in Zurich, and likely will continue to live in Switzerland for a long time. Josh is a remarkable young man: very intelligent, hilarious, generous, and thoughtful. I don’t think there is a single person who doesn’t like him. I can honestly say the same thing about Ladina. Together, they make a wonderful couple.